This tutorial demonstrates how to send scheduled messages to Slack. For this example, we’ll be posting an inspirational quote that we retrieve from a free public Rest API. However, you could substitute that with any message source you want to post to your Slack channel, for example, a database, or a social media feed. 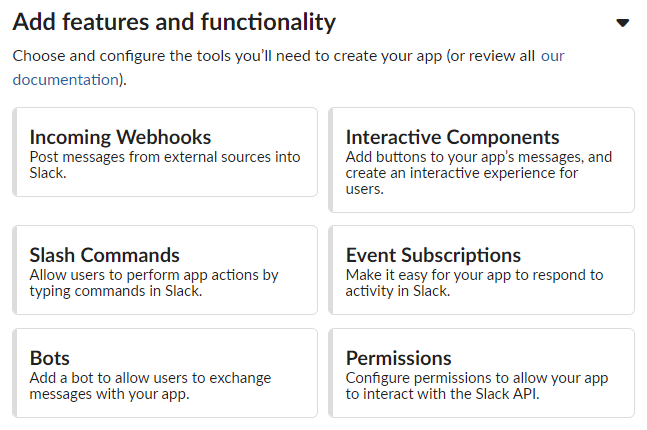 Once you click “Create App” you’ll need to select which features to enable for the Slack app. The simplest way to send messages to a Slack channel is to enable an incoming Webhook in your app. To do this, you click on “Incoming Webhooks” in the features and functionality section of your app once it’s been created. Every Webhook is bound to a specific channel. 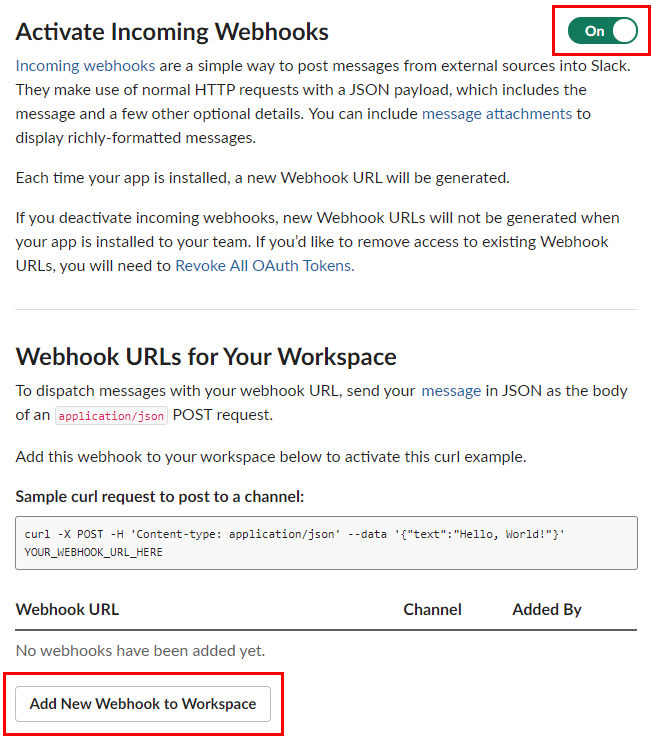 If you want to send messages to multiple channels, you can create several Webhooks. Alternately, if this becomes unwieldy, another approach is to use the Slack Web Api which allows you to select channels dynamically. We’ll stick with the Webhook approach for this tutorial since it’s a bit simpler and satisfies our needs. For this example, we’re configuring the Webhook to post to the #general channel. The last step is to “authorize” the Webhook. And that completes the Slack configuration. We now get a unique URL to send scheduled messages to our Slack channel. You should note that this URL includes embedded access tokens and anyone could use it to post to the channel. Therefore it’s a good idea not to share it publicly. Now we’ll dive into the specific configuration for each module within the flow. In this case we’ll set the scheduler to execute at 9am every weekday, but not on weekends. After the request executes, the response from the API is accessible in a field named: http.response.body. This field is available as an input to all subsequent modules within the flow. However, in order to format the link correctly, the query term (in this case, the quote author) must be URL encoded. Specifically, we need to convert the whitespace between the first and last name to a URL friendly encoding, which happens to be a + character. To do this, we use the encoder module and create a new attribute which is the url encoded version of the quote author. We assign it to a new field named encodedAuthor. Slack expects a JSON object with a text element to display as the message body in the channel. It also provides some basic formatting options. In this example we’ve used the > symbol to format the quote as a quote. We also use the * symbol around the quote author to apply bold formatting. Finally, we add a newline character \n to display the quote author on a separate line. We reference the quote text with the field name quote.quoteText, the un-encoded quote author with the field name quote.quoteAuthor and the URL encoded author for the search link with the field named encodedAuthor. 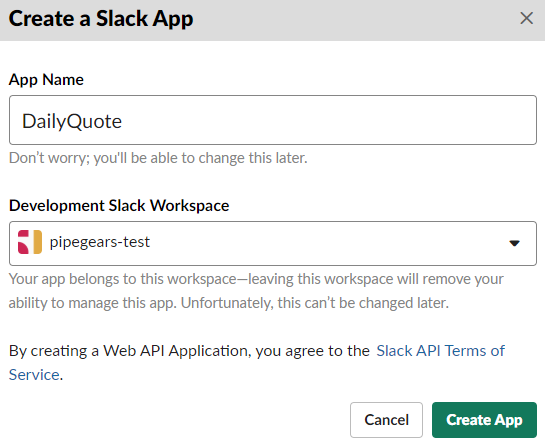 The last step in the flow sends an alert message if an error occurs while retrieving the quote from the API or sending the request to the Slack Webhook. The Gmail module links to an existing Gmail account with OAuth and allows you to send emails from that account. You can use this same approach to schedule and automate messages to Slack channels from any source, whether another 3rd party API, or an internal system like a database, or status updates from social media accounts. 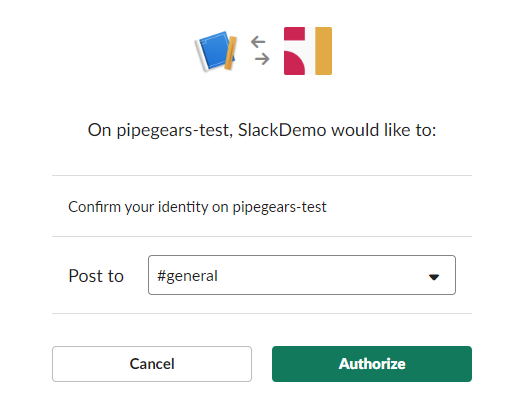 You can also create multiple triggers within a single PipeGears application, giving you the flexibility to accomplish almost any type of integration. The best part is that PipeGears flows are serverless and don’t require any coding, so just about anyone can build them.